Users might feels that this VooDoo Bizango is an “outstanding 29er”, the one that supposedly lets you “push yourself and your skills to the next level”. 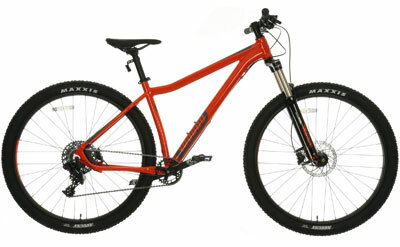 It has also won a number of awards, such as What Mountain Bike’s Best Entry Level Trail Hardtail. A number of riders claim to have bought this product based on the MBR 2013 Bike Of The Year award: did they end up agreeing or disagreeing with their verdict and the rest of the hype surrounding this 29er status? What do these real users have to say about this VooDoo Bizango 29er Bike and what advantages have been highlighted? What is interesting about this product is that the user reviews are pretty much unanimously positive; many of those asked to pick their preferred features simply said they liked everything about it and a large percentage would recommend it to others. Those users that were kind enough to go into more detail about their opinion talked about the high quality of the specification, particularly the responsive nature of the Shimano BR-395 Hydraulic Disc Brakes and the use of the 120mm Suntour Raidon LO Air Suspension fork for comfortable suspension. Buyers say they have “abused” this VooDoo mountain bike on harsh tracks to fully test it out and it has come home looking and feeling as good as it had been when they first took it out. One aspect of the specification that really needs to be singled out here is one of the key selling points that has caught the eye of independent reviewers and buyers alike – the fact it is a 29er. The benefits of this design choice are clear to see as the bike tackles the hills and tough terrains because these Maxxis Ardent 29 x 2.25 tyres, combined with the 680mm aluminium bar and short 80mm stem, offer a new level of control that buyers had not expected. All of this results in a bike that easily tackles any route that riders choose while offering great speed and traction and inspiring confidence. If these users reviews are so one sided in their praise, are there any flaws to note with this VooDoo Bizango 29er MTB? According to one buyer, this VooDoo 29er bike is “impossible to fault”; while this sentiment is understandable with all the positive aspects on offer, there are a few negative comments in the reviews too. Example of this include the fact the bike doesn’t come with an air fork pump, one rider’s dislike of the colour used on the forks, the fact that it is only a nine speed bike and the lack of comfort in the hard seat. The complaint about the speeds is fair enough but the comfort issue is not much of a surprise and comments about the questionable graphics feels a little like splitting hairs at this point. Elsewhere, some buyers say that it takes a little time to get used to the handling but, when others say that this is a bike that practically begs to be ridden, this learning period shouldn’t take long at all and the enjoyment factor will soon take over. Summary: how do these flaws affect a final recommendation for this VooDoo Bizango 29er? Unsurprisingly, when so many buyers say that they like everything about the MTB and the list of potential problems is tiny, this review has to end with a wholehearted recommendation of the product. If you look hard enough there will be elements to dislike, but they are more likely to be down to personal taste – like the graphics – rather than any real, important product flaw. Essentially, Vilano promised a top 29er that could show consumers the potential of the style and it seems to have lived up to these expectations. This VooDoo bike is a top of the line bike that can really prove its worth on tough terrain and its balance of great handling and components make it ideal for buyers looking to upgrade from their current bike to something a bit tougher and more responsive. 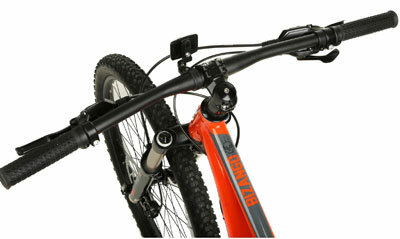 Find more reviews about this VooDoo Bizango 29er Mountain Bike at Halfords here.